Due to their ongoing miniaturization, the performance of modern devices may be affected already by few individual atoms. Together with the establishment of new fabrication routes and the incorporation of novel materials, this renders high resolution chemical and structural analyses indispensable in order to gain a better understanding of the device structures and to finally improve them. Since in addition to the mere choice of materials also the synthesis process effects the resulting function, both in-situ and in-operando characterizations become increasingly important. 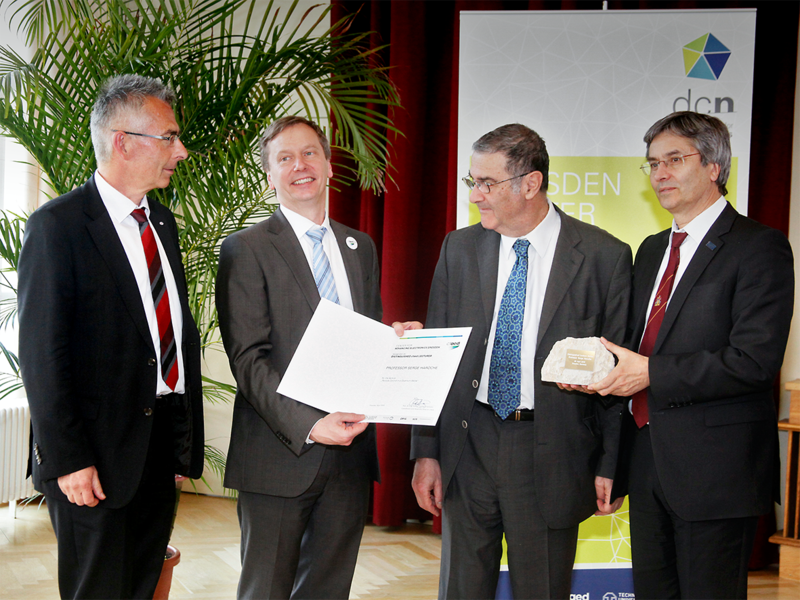 To cope with this enhanced analytical demand, the recently founded Dresden Center for Nanoanalysis (DCN) serves as a central user facility to the TU Dresden and its neighboring scientific institutions. The DCN aims at gaining synergies by centralizing the access to expensive and high-end scientific tools in particular in the fields of microscopy with electrons, ions and X-rays. It offers a modern infrastructure with ultra-low noise labs, state-of-the-art equipment and the necessary know-how. The DCN conducts nanoanalytical service measurements, provides for user training and strives towards own methodological developments. The DCN is organized in a three-fold core-shell structure. 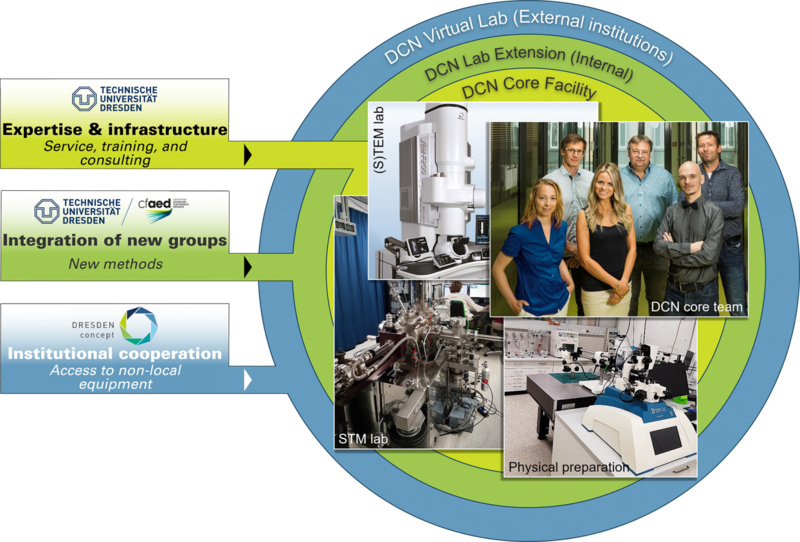 While the DCN Core Facility run by the DCN Core Team provides for the lab infrastructure, central equipment (incl. maintenance), know-how, user training and device access, it is surrounded in the same building by additional groups from the TU Dresden. These groups share their own equipment with regular DCN users and/or try to interface currently solely internally available techniques to a wider user group – thereby successively expanding DCN’s methodical portfolio within the DCN Lab Extension. 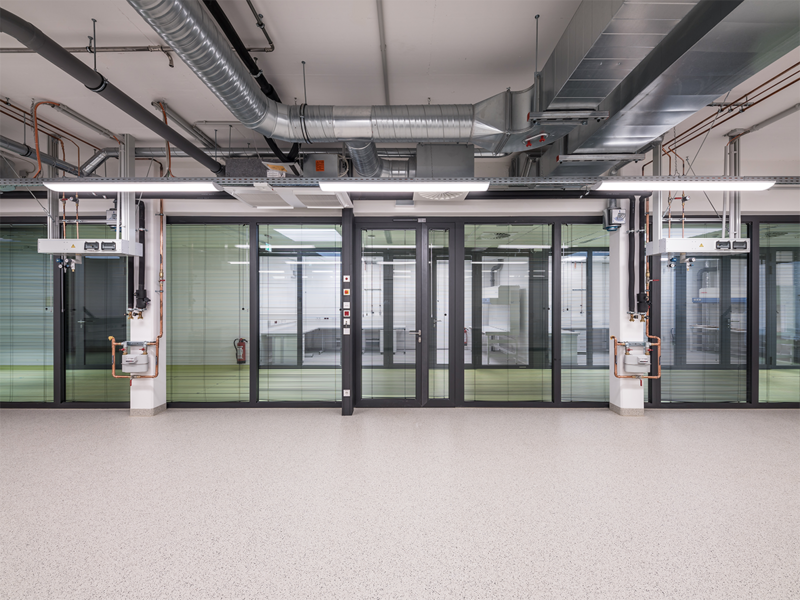 The scientific environment of the TU Dresden – in particular the DRESDEN-concept institutes – provide access to additional equipment for (non-local) use outside the campus of TU Dresden, thereby contributing to the DCN Virtual Lab, DCN’s outermost organizational shell. 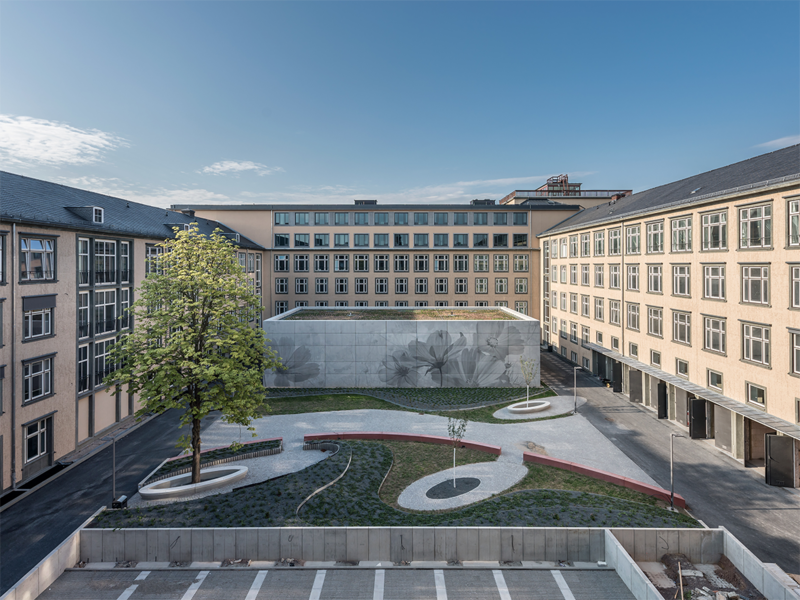 The tools and methods available in the DCN can be accessed within a technology platform by all users within TUD and the DRESDEN-concept community, and at a later stage they will be offered nationwide and internationally. 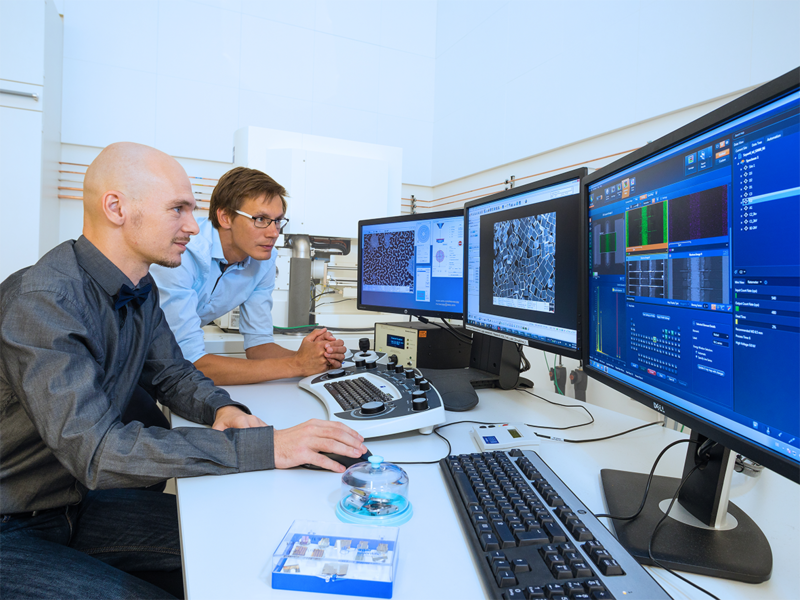 Dr. Markus Löffler and Dr. Darius Pohl during a session at a secondary electron microscope (SEM). 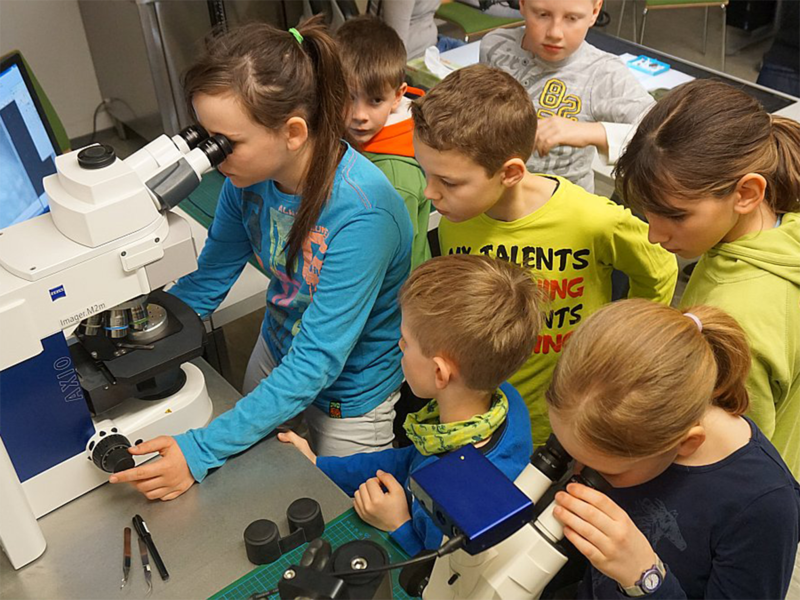 Kids in the lab during the Dresden Long Night of Science. Dr. Darius Pohl: Pre-screening a sample in an optical microscope.